It is coming to a year on board with SSC since 2015.  I am very happy to get myself involved and have seen its membership growth as well as all the good resources amassed for individuals, companies and government entities who are interested in the SECURING SMART CITIES journey. Looking at a city transition to SMART City, I saw the embracement of video surveillance to global positioning system (GPS). A passenger taking a subway will walk through an entrance/exit point with an array of Closed-Circuit Television (CCTV) cameras. There will also be cameras over-looking people entering/exiting the ticket counters. Apart from these, there is also a GPS distance-based technology that charges the movement of motoring vehicles. For a subway passenger, every move is tracked and recorded during the time from entering the subway station to leaving the station. For the driver, every travelled destination is of public information. It does looks great from a security sensing/security operation point of view and people’s safety to a certain extent as it identifies motoring accidents quicker. However, it does not score well via the privacy route. Smart City breeds Smart Citizen and from the perspective of privacy, industries can explore the development of a “deflector shield” of sort for the benefit of people seeking more privacy. For example, to a driver subjecting to GPS distance charging, the ‘shield’ will only provide feed associated to distance-travelled and not feed on the location the driver is in. There should be authentication and authorisation mechanism build-in to ensure the shield churn out the correct feeds. Last but not least, assuming the necessary cyber security mechanics being applied to the smart city supporting tools (CCTV, GPS etc…), local government, federal or community, at the same time, it should not ignore citizenry privacy rights. There is a need to have governance in place to ensure citizens’ rightful and sufficient protection in their privacy. Whether it is a subway passenger’s movement or a driver’s destination, tracking data collected should not be used for data analytical purpose that could grind potential revenue generation. Associated authorities and the transport or homeland agencies shall ensure its deployed equipment is sufficiently protected and not subjected to amateur cyber-attacks. As for the systems it deployed, just based on subway and motoring vehicles movements alone, it does collects humongous tracking data. It therefore creates an opportune time for country engaging the SMART CITY concept to have a Smart City Department (SCD) to support the SMART effort.